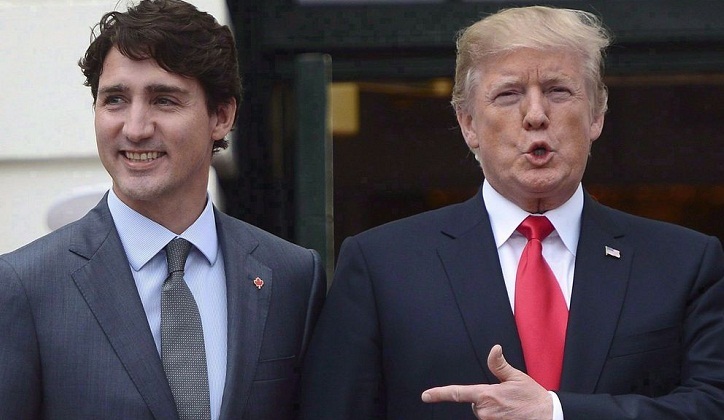 Canadian Prime Minister Justin Trudeau said working with US President Donald Trump is "not always simple," as he welcomed the successful renegotiation of the North American Free Trade Agreement. Asked about his relationship with Trump, Trudeau cautiously acknowledged it is "not always simple." "He knows it and so do I. We are not aligned on many things and it is sometimes difficult to find common ground, but we managed to do it fairly well," Trudeau said. Relations between the two leaders took a hit in June, when Trump taunted Trudeau as "very dishonest & weak" and "meek and mild" as he left a G7 summit in Canada that the prime minister had hosted. Trudeau also defended cannabis legalization during the interview, a key campaign promise that came into effect October 17. He argued 90 years of prohibition had not worked, and only lined the pockets of organized criminals. Meanwhile, ahead of his upcoming campaign for next year's elections, Trudeau vowed to tackle climate change. "The reality is that we must protect the environment while creating economic growth that is sustainable and responsible," he said, going on to accuse the opposition Conservative party of having "no plan" on environmental issues.